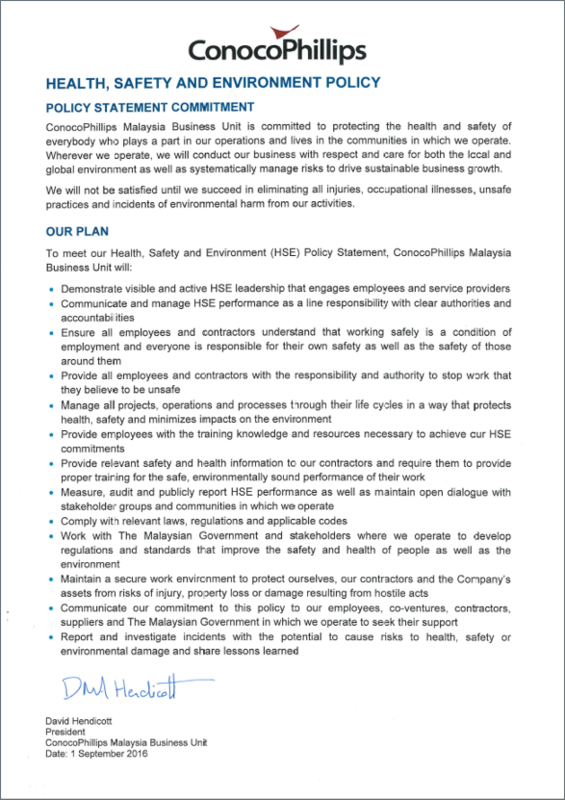 ConocoPhillips Malaysia (COPM) implement HSE Management System to ensure all HSE issues are managed in consistent and sustainable manner across the COPM operated assets. 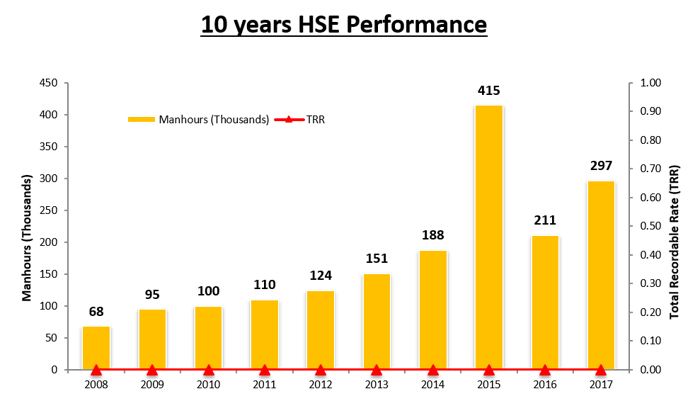 The system is comprised of the 15 individual elements from “Policy and Leadership” to “Review”. COPM HSE Policy has been established to demonstrate our commitment. The 8 Life Saving Rules define the way we work. Guided by the company's SPIRIT Values, our standard always starts with Safety. 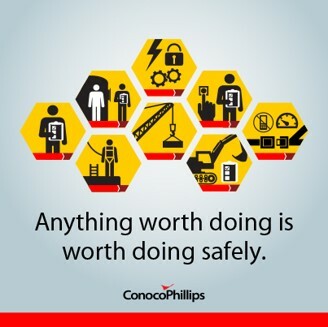 Safety is more than ensuring we finish each day incident- and injury-free: It's "the way we work" around the world.